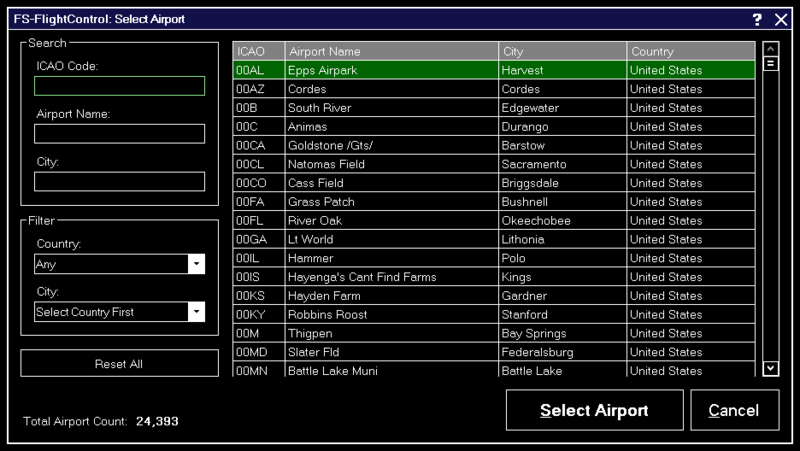 You can search for an airport by entering the ICAO code, airport name or city. Alternatively you can also filter the list by selecting a country or city. For your information the total count of all airports is displayed at the bottom.